Prime has been a big hit for Amazon. The membership service -- which gives users access to free two-day shipping, music, movies and other perks -- has over 100 million subscribers. On Thursday, the tech giant announced it's hiking the annual price of Prime to $119 from $99. Although the service launched in 2005, Amazon (AMZN) didn't aggressively start stepping up its offerings until years later. Here are some of the major features Amazon has added over the years. February 2005: Amazon Prime is born. Members pay $79 per year for free two-day shipping in the US on eligible purchases. February 2011: Prime members are given access to over 5,000 movies and TV shows without ads for free. March 2014: The annual Prime membership fee is raised to $99 from $79. Amazon has raised the annual Prime membership price three times. April 2014: Amazon announces Prime Pantry. Members can order non-perishable items, such as dish soap and paper towels, in one box for a flat fee of $5.99. The price is now $7.99. June 2014: Prime Music is announced. Members have free access to commercial-free streaming of over two million songs and more than 1,000 playlists and stations. September 2014: Amazon Studios' comedy series Transparent debuts. In 2015, the show won two Golden Globe awards -- the first major award for Amazon Studios. November 2014: Amazon adds Prime Photos, which gives members free unlimited photo storage on the Prime Photos app. December 2014: Prime Now launches in New York City with free two-hour delivery and one-hour delivery for $7.99. The service has since expanded to 32 metro areas, including Atlanta, Houston and Chicago. May 2015: Prime members can now get free same-day and one-day delivery on qualifying orders over $35. As of 2018, the service is available in over 8,000 cities and towns. July 2015: Amazon Prime Day was created to celebrate the company's 20th anniversary. The online shopping event featured deals only for Prime Members and drew comparisons to Black Friday. July 2016: The company hosts a second Prime Day. Subscriber orders jumped more than 60% globally compared to the first Prime Day. October 2016: Amazon introduces Prime Reading, which offers unlimited access to a rotating selection of over 1,000 books, Audible narrations and magazines. December 2016: Amazon adds a Prime membership option for $10.99 per month for those who don't want to commit to a full year. January 2017: Amazon partners with Chase on the Amazon Prime Rewards Visa Signature Card. It's only available to Prime members, and gets cardholders 5% back on all Amazon.com purchases. June 2017: Amazon launches Prime Wardrobe, which lets Prime members try on clothing and accessories before buying them. July 2017: The tech giant reports record sales for its third annual Prime Day, topping its numbers for previous Black Friday and Cyber Monday shopping periods. October 2017: The company unveils Amazon Key, a service for Prime members that lets delivery drivers into homes to drop off packages. Users have to buy a kit ($249.99) with an Amazon security camera and a compatible smart lock. January 2018: Amazon announces the monthly fee for a Prime subscription is increasing to $12.99 from $10.99. February 2018: Prime members in select cities can get free two-hour delivery from Whole Foods, which the company acquired in 2017. 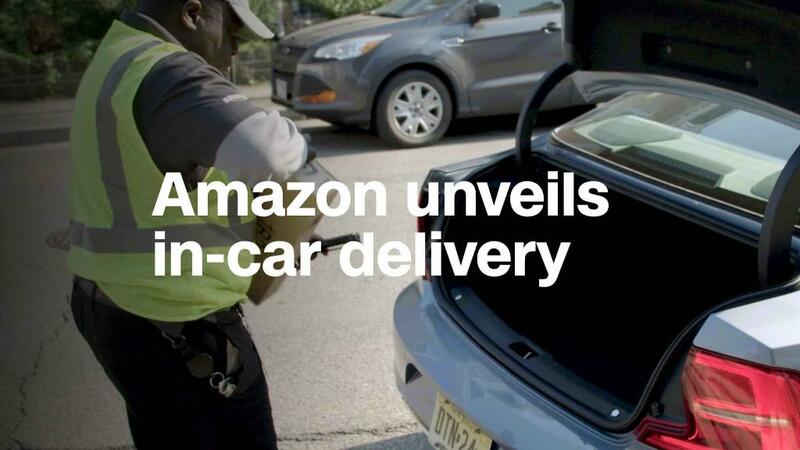 April 2018: Amazon launches a new service in 37 US cities that delivers packages to the trunks of cars for free if you're a Prime member. Amazon also raises the Prime membership fee to $119 from $99 per year.